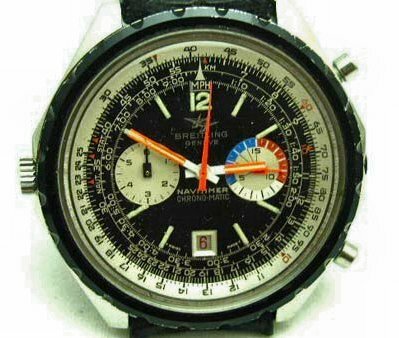 In the 1960´s Breitling produced a small range of Yachting watches. 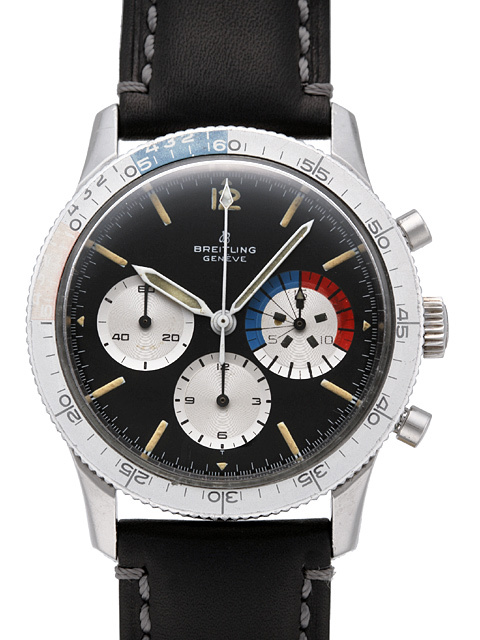 In 1966 Breitling added to the Co-Pilot (CP) series a yachting model with a 15 minute countdown subdial and a yachting bezel. 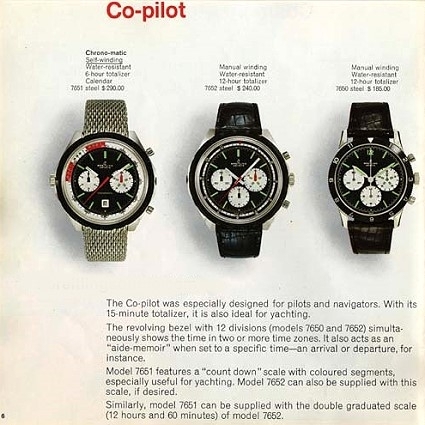 In 1967 the yachting model 765 Co-Pilot got a new designed handset. 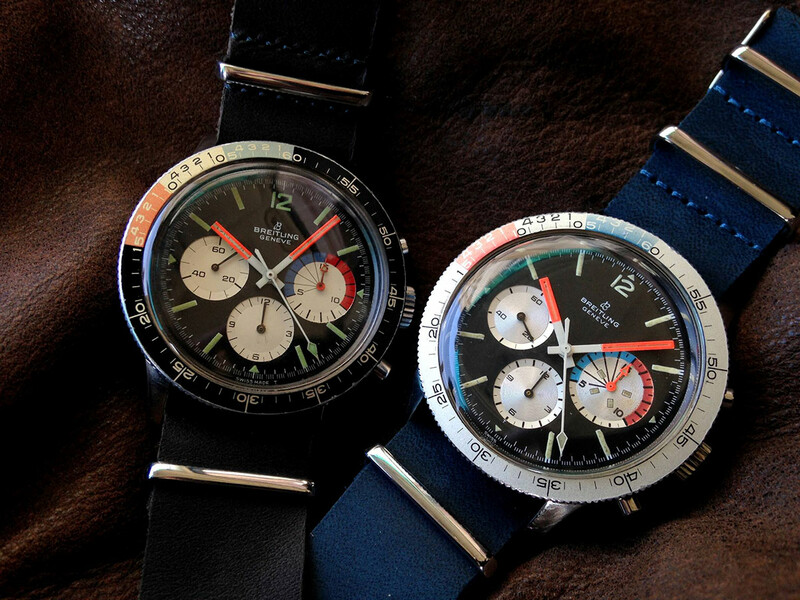 The little lumensticks on the regatta-subdial are good visible as the difference to the later models. 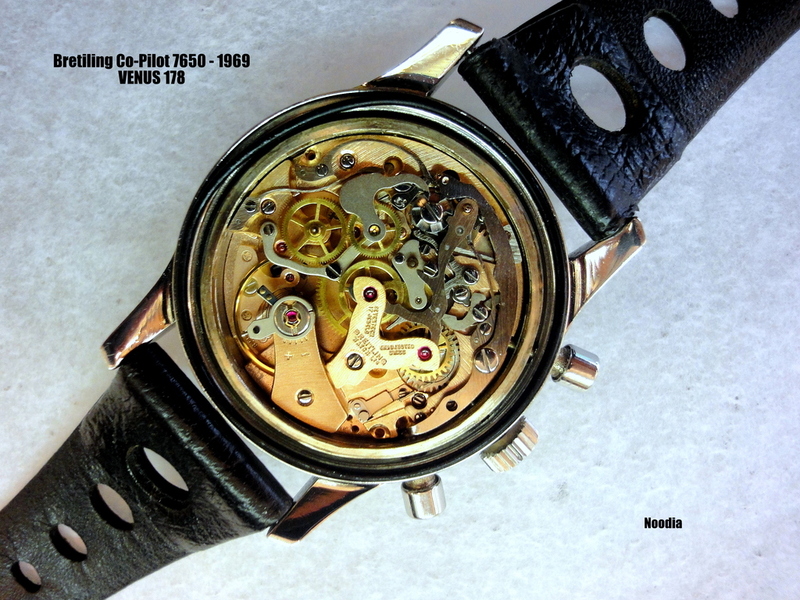 Interesting point are the difference of dials on this reference – first one was kind of “factory modded dial” (looks like handpainted and different lumen, lumenarrows looks inside), then there is a MK1 “mass production” dial and the later MK2 got baton hands and an triangle sweep hand. Thanks to watchfred to point that out! 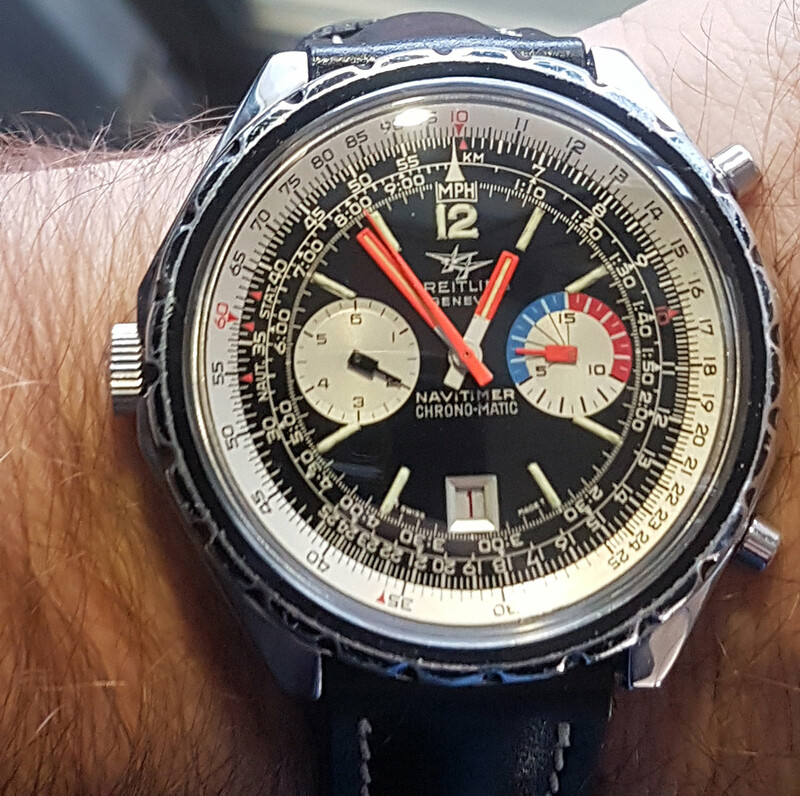 Between 1967 and 1969 Breitling stopped using a separate name for these on the case and they only had a reference number. So we say goodbye to the Co-Pilot name as well. 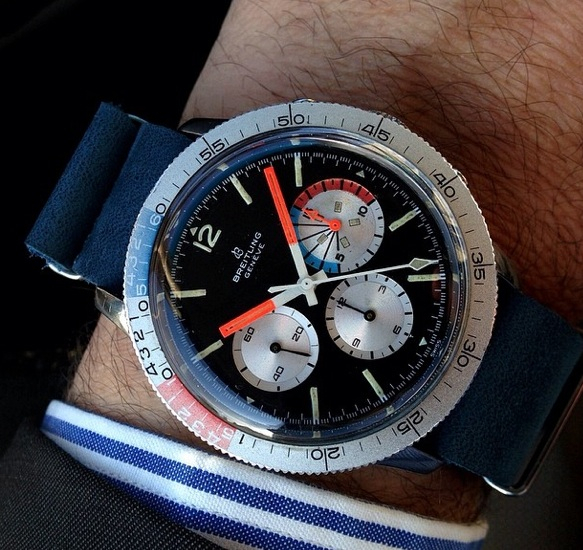 1969 comes the 7650, larger then the 765 and brings a new yachting model: 7650. 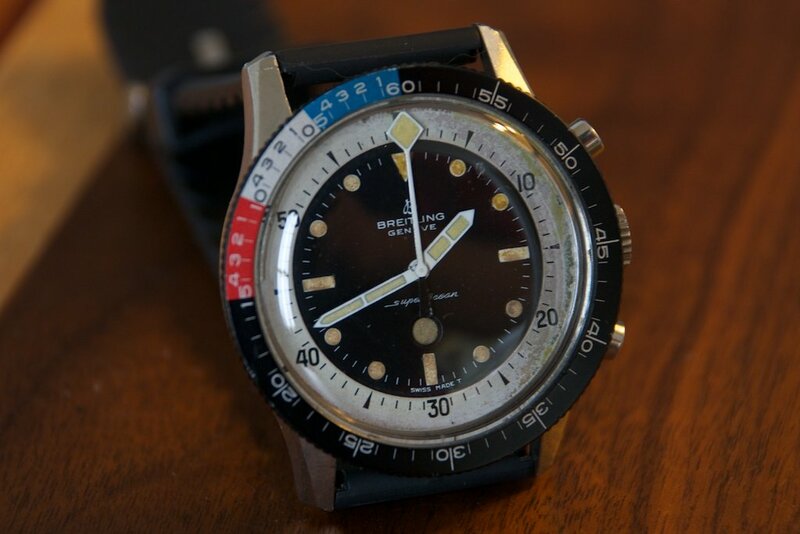 There were two kind of bezels – first the aluminium or silver yachting bezel and later the black yachting bezel. 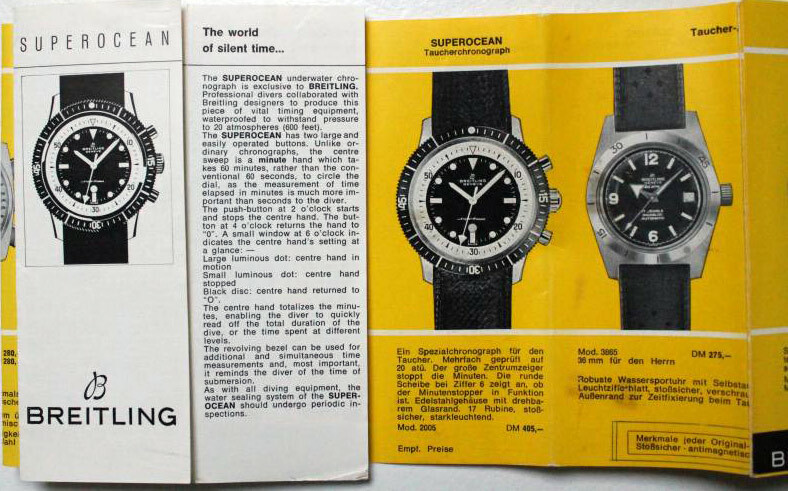 Also somewhere in 1969 a separate ref number was given to the yachting model the referece 7660. 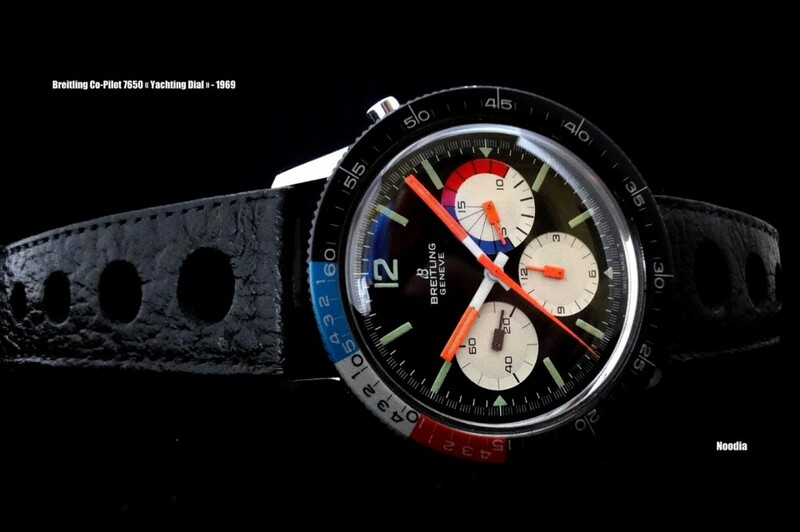 The silver yachting bezel was delivered with the 7560 and 7660, later the 7650 with black bezel and last the 1765 and 1765-36. 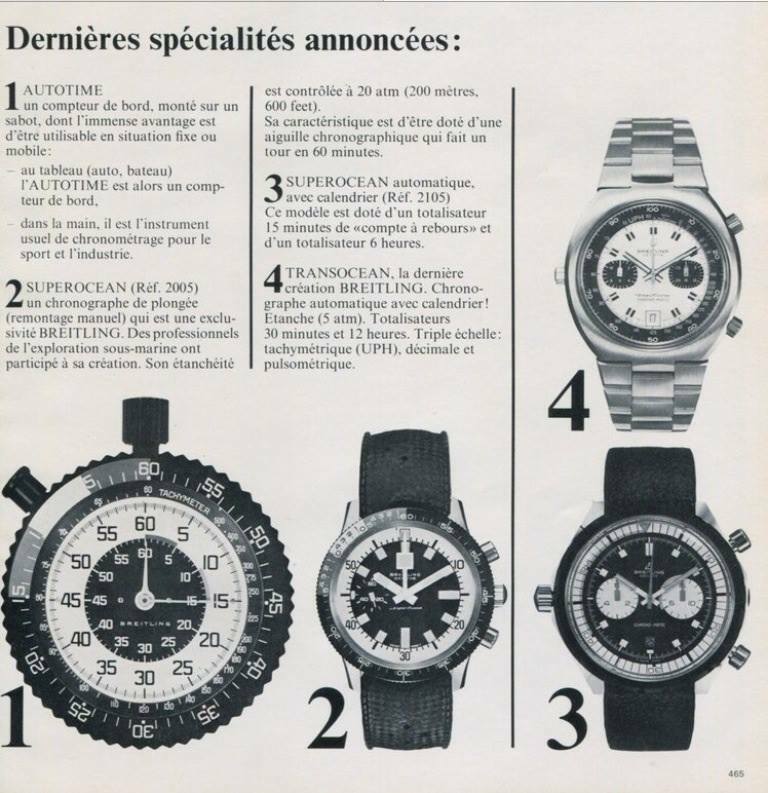 Sometimes you find a picture with reference 1765 – thats not a correct and proofed reference for the yachtings. 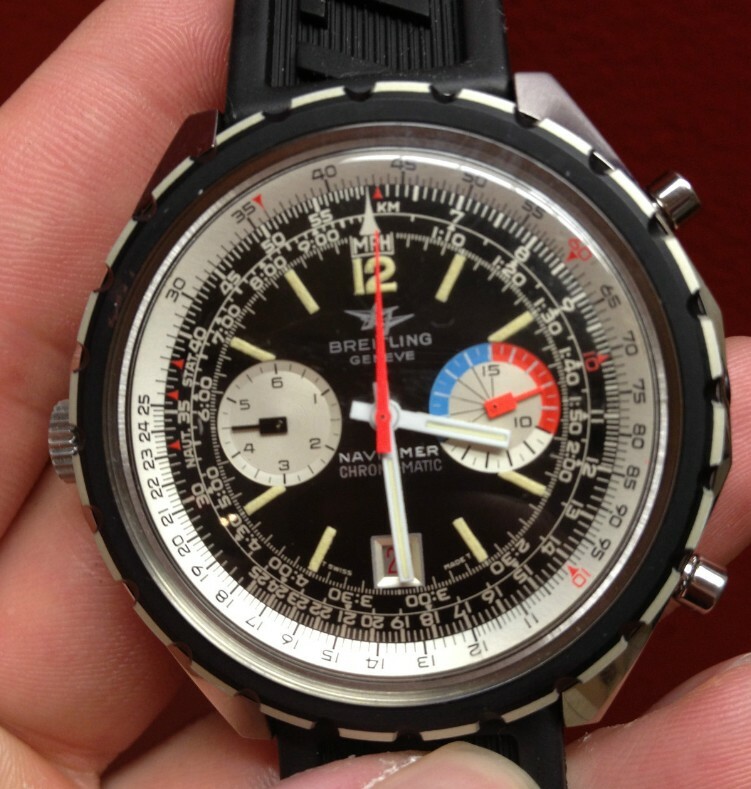 Another line was 1969 – the Co-Pilot 7652 and 7651 and the 7661 in the big case called “fried egg”. 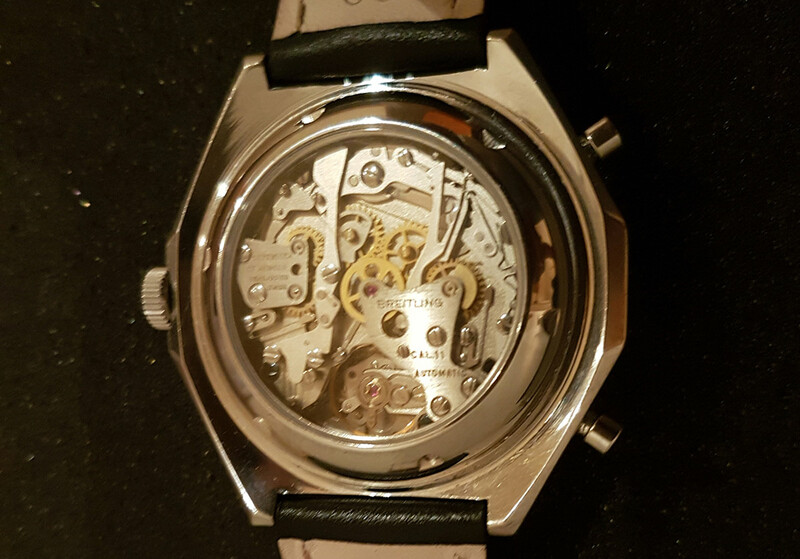 The 7651 and 7661 has a Breitling 11 calibre inside working – the crown is on the left side. There is just a catalogue showing an Ref. 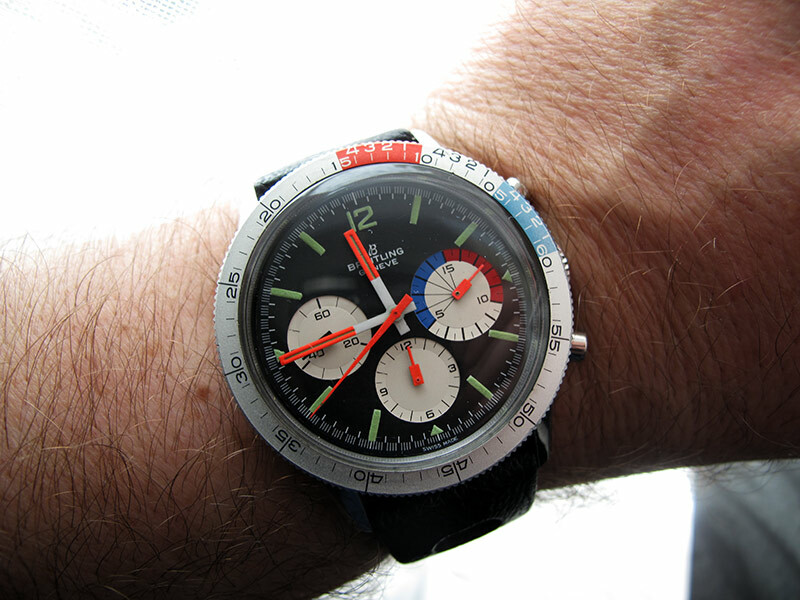 2005 Superocean with yachting bezel. 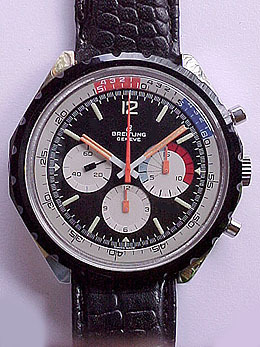 It is the later edition with the squared lumen and the “paddle” secondhand. 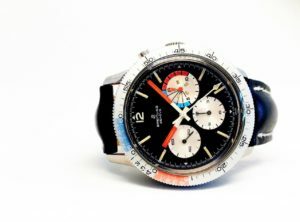 Enjoy the gallery of the nice and rare Breitling Yachtings. There are open questions, maybe somebody can bring light in here. 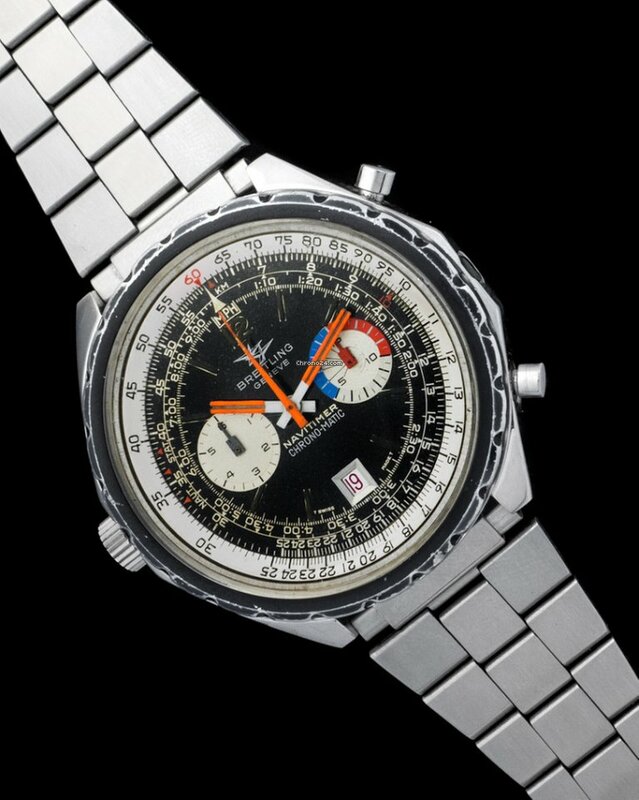 And another one bought from Lars in 1996 in NYC from Tourneu Corner on Madison Ave.
A third one was found on ebay and shown from Fred on the Breitlingsource here. Fred point the production date to 1975-76. 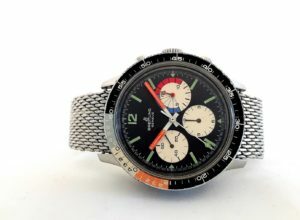 Another was sold from Vintage Watches Milano on chrono24. 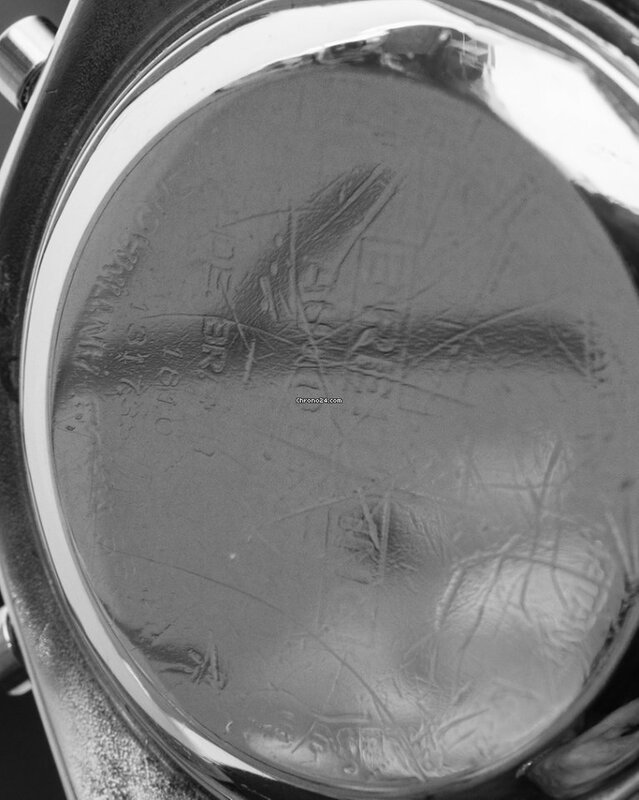 There is no real proof or catalogue that it´s delivered with the bezel. But nobody knows as fact. Special thanks for text and pictures: Rene Kesting (Dracha), Fred Mandelbaum and Laurent (noodia)! To be continued… we need some more pictures of the big case yachtings! 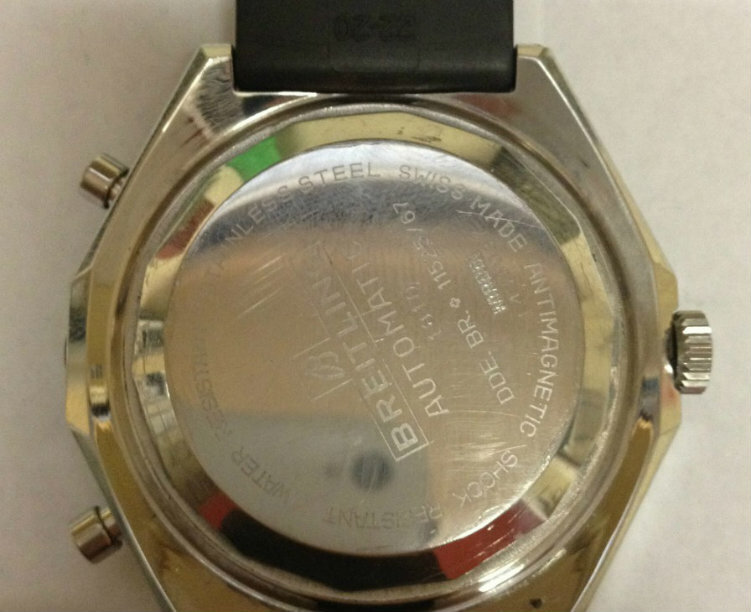 This website is not an official TAG Heuer website and it is not affiliated in any way to TAG Heuer. 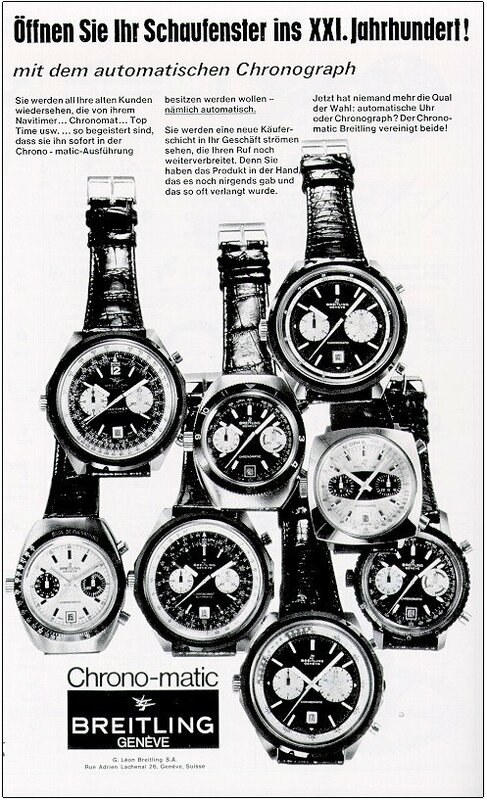 TAG Heuer, branch of LVMH Swiss Manufactures SA, owns any and all rights in and to the marks "Heuer" and "TAG Heuer". 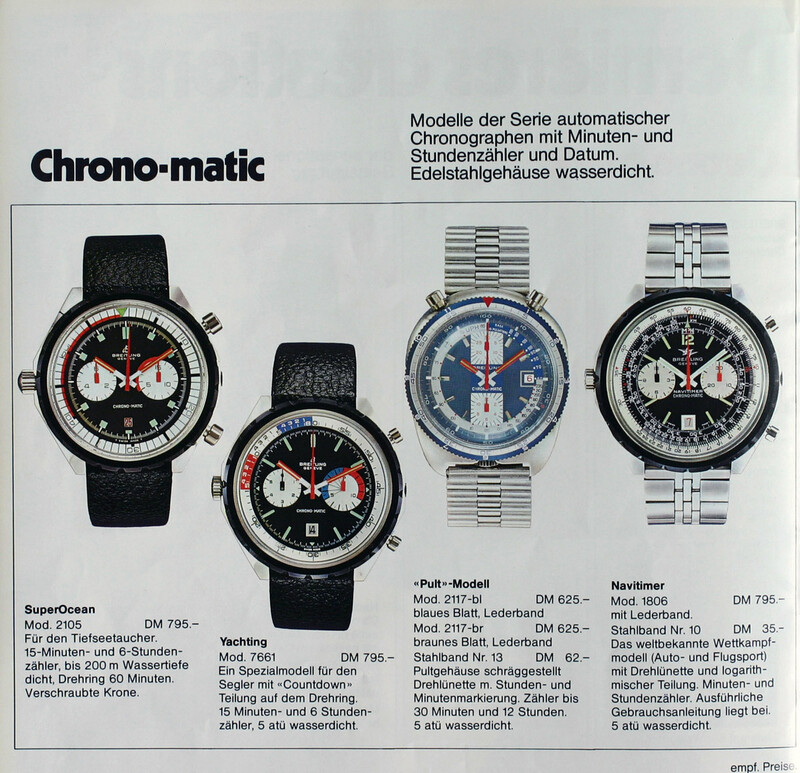 The name "heuerchrono.com" and the domain name www.heuerchrono.com are used with the amicable authorization of TAG Heuer. 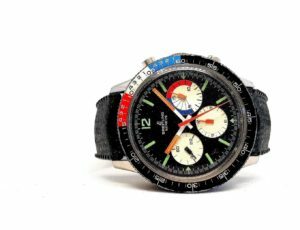 Heuerchrono.com is solely responsible for the content of this website.